My overall research goal is to understand how to achieve synergy between environmental sustainability and community development in the food systems. Much of my research focuses on empirically investigating the causal mechanisms within the coupled complex systems in order to test and refine theories in both natural and social sciences. For me, the interactions within and between social and ecological systems provide exciting research opportunities as they reflect the adaptation processes in the context of shocks such as climate variability, species introduction, and land use change. At the same time, however, natural disasters and social injustice appear to be growing, affecting more people’ well-being than ever, especially the poorest populations in the world’s most remote places where livelihoods depend largely on natural resources such as forests and rangelands. Within these contexts, I seek to make prescriptive predictions about the impact of environmental change and better inform sustainable and adaptive development in the food systems. 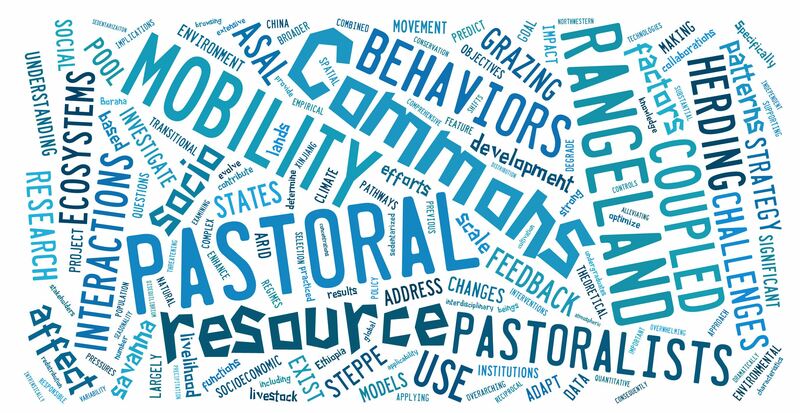 My current research projects focus on the impact of large-scale land tenure change on the agroecological systems and sustainability of pastoralism in East Africa and Central Asia. Links to publications are available on another page on this site.